I was a bit surprised at something I observed at a symposium in China in which students attended and participated. Most of them rather openly slept or played around with their smartphones. They were probably told they had to be there, so I understood their disinterest, but my image of Chinese students was different. I had thought they were very diligent. 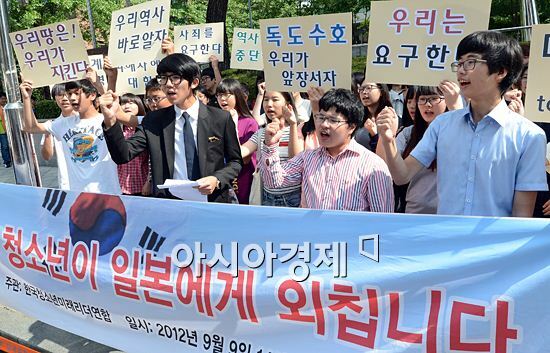 South Korean junior high and high school students demonstrate in front of the Japanese embassy in September, demanding that history be properly taught to Japanese youth. My faculty advisor prohibited me from taking a class from another professor whom he hated. If you take classes from professors associated with the New Right (in South Korea), some people will hate you. Both China and South Korea have many museums that one-sidedly make Japan to be the villain. Taking vulnerable and exposed students to a place like that creates the danger of brainwashing. Japanese high school students have gone on school trips to South Korea and actually been made to get down on their knees and apologize. That’s education? – Nishimura Kiyoshi, a director of the educational corporation that operates the private Reimei High School in Chiba. This year’s school trip will be to a location in Japan instead of either South Korea or China. Members of the calligraphy club at Kawaguchi High School in Saitama write 250 four-character compound words. The red characters form the character for “happiness”. All media throughout the country have what they call satellite reporters. They are assigned to circulate in the regional areas. About 10% are the victims of factional warfare inside the company. About 20% are excellent, but aren’t team players. The other 70% are useless. Ah, but the Asahi Shimbun is a storehouse of talent. The only problem is that (she) can’t quit because the salary’s good. 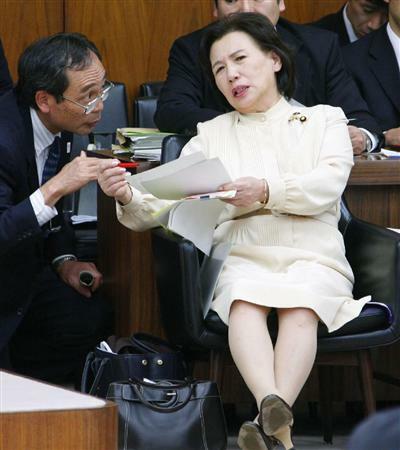 This was an individual getting angry about the comfort women because she is contemptuous of Japanese men. I’m not what she would call a right-winger, but she’s just branding soldiers as perverted, which has a negative impact on Japanese men today. The false rumors spread about the comfort women are an attack on Japanese men. – Science and technology journalist Ishii Taka’aki on the controversy caused by Asahi reporter Akuzawa Etsuko. A Chinese journalist working in Bangkok wrote an article for a local newspaper offering her thoughts on the recent demonstrations in China. A Japanese blogger read it and translated it into Japanese. Here’s most of it as it appeared on the (Japanese) Kinbricks Now site. Keep in mind this is going from Chinese to Japanese to English. Territorial issues should be negotiated by governments, so the people should leave those issues to government negotiation and not demonstrate. The greatest shock for me, however, was the way in which people expressed their patriotism — by using violence to destroy Japanese shops and restaurants. I was incredulous, ashamed, indignant, and sad. Then it hit me. We’ve been taught to love our country, but we were not taught any good ways for loving our country at all. I’m not saying that demonstrations themselves are bad. What is bad is misappropriating those demonstrations and using them as a vehicle for bad behavior. There is no shortage of patriotic education in China. In fact, for those of us born in the 70s and 80s, there was too much of it. In primary school, the only songs we were taught were patriotic songs. They included Ode to the Motherland, There Would Have Been No New China without the Communist Party, and The Sun is Red, and Chairman Mao is the Dearest. The only movies we saw in school were revolutionary movies. The villains in those movies were always pitiful, stupid, depraved Japanese or landowners. The heroes were the comrades of the Red Army, Communist Party members, peasants, or workers. This sort of self-righteous imprinting continued until university. Marxist-Leninist ideology and political lectures that teach the doctrines and policies of the Communist Party are required courses at college. I often cut those classes. That’s why when demonstrations such as these occur, they contribute nothing at all to disputes over islands. They only give rise to violence that harms our own economy. We become emotional and behave violently, which amplifies the negative emotions and harms the rules and social justice. It ends in something that has nothing to do with patriotism. The tragedy begins where there is no civic education. Without the Communist Party, There Would be No New China, by Brother Hao. And two versions of The Sun is Red and Chairman Mao is the Dearest. The first has a great chorus line and gets a little funky in the middle. And the second is the Richard Clayderman treatment, which included a new title. He’s rehearsing it here in Beijing. 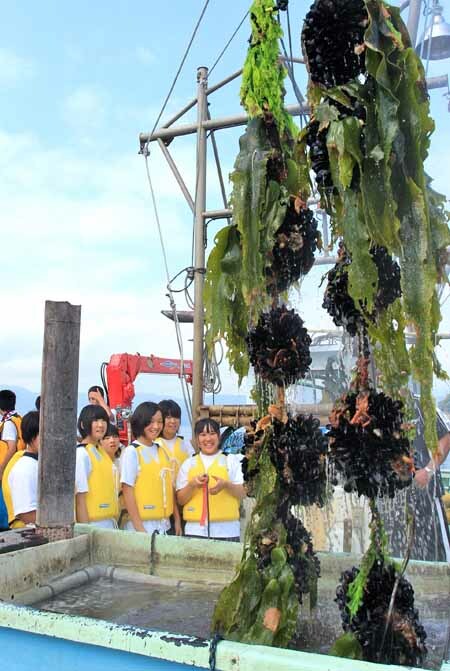 Twenty-seven second-year students from Yonesaki Junior High School in Rikuzentakata, Iwate, try their hands at recovering oysters raised at a local fishing port. Another new and different Koshien began last year with content that might surprise even Japanese — the performance of kagura. That’s an ancient Shinto ritual of dance and music for the divinities whose origins are at least 1,300 years old. 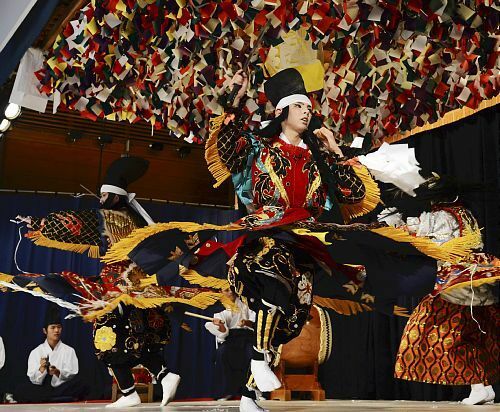 It is also performed in some areas of the country as a folk-drama during shrine festivals. The appeal of kagura in the latter context is easy to understand when you realize the art contains elements similar to that of a Broadway musical comedy, albeit from a different millennium. This year’s Kagura Koshien was the second, and it was held at the end of last month in Akitakata, Hiroshima, at the Kagura Monzen Tojimura. In addition to a kagura dome, that facility also has a hot springs resort with lodgings. Here’s an explanation of the origins and more formal varieties of kagura, and here’s a description of the pop variety, with a blow-by-blow account of one of the plots. And in an excellent example of synchronicity, this YouTube video digest of the Kagura Koshien was uploaded just this weekend. Watch it to discover how an ancient ritual could capture the imagination of high school students.